If you ask people who runs Britain today, they will almost certainly focus (correctly) on the banks, media and corporate bosses, plus the police, lawyers and accountants who are their agents in protecting their supremacy. Politics and finance have become one, with business leaders trooping into No.10 as regularly as heads of state. There’s nothing so calculated to get Whitehall into top gear as the allegation that something is ‘bad for business’. Politicians dote on business people; they swoon before billionaires like Murdoch, Branson and Green. Sometimes they appear to run after them like teens begging them to autograph their body parts (like Blair before Murdoch’s court at Hayling Island, Australia, in 1996). Since all these lords of the universe have now been humiliated by the recurring scandals of the last decade, what at this election should be the order of the hour is reining in these powers that have so besmirched the face of Britain and exerting a firm democratic imprimatur and control over their activities to change the structure of power in Britain which has been too long delayed. The politicians should take advantage of the weakening of these former oligarchs to establish a new Magna Carta. The excesses of the banks are execrable and ever new wrongdoings continue to be brought to light almost every day, and so far from feeling any remorse apart from empty window-dressing they push back by demanding an return to a failed and despised status quo ante. The corporate bosses are hated for their colossal betrayal of the social compact by industrial scale tax avoidance/evasion at everybody else’s expense as well as by their shameless feathering of their own nests. Even the media are now at bay. Cameron ran after Murdoch by announcing that as PM he would abolish the Ofcom broadcast regulator, by promises to cut or end the BBC licence, and by quietly giving every assistance to deliver BSkyB into Murdoch’s hands. None of this proved enough, and indeed backfired when the News of the World hacking saga finally lost Cameron his right-hand man Coulson and forced him to set up the Leveson inquiry. Both Cameron and Miliband have nothing to lose now in calling the press to order. It is this political reordering of the power structure so badly tarnished that the British people are now crying out for. It is rare that the secret power-brokers have so shockingly destroyed the public’s trust all at the same time, but like all crises that should not be wasted it offers an unparalleled opportunity for the politicians to redeem the trust they have lost by re-establishing the power of democracy against the disgraced usurpers, and they will not be forgiven if they pass up this duty. 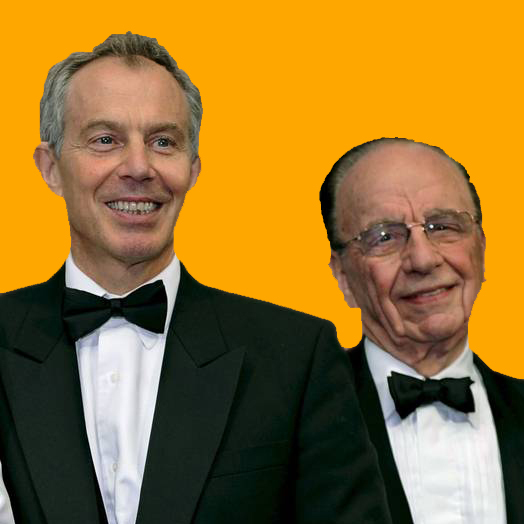 How does one stop over-cosy relationships between politicians and media moguls? Will Cameron stop corrupt dinners for policy change? Are the English media fawning over the SNP? Yes and by the way a new scandal is currently apparently being hushed up on Wall Street (as reported in the Guardian). According to a book by Michael Lewis called, ‘Flash Boys’ some traders on Wall Street were ‘scalping’ tiny amounts about 1p from every pound (using sophisticated computers) before share sales were completed. Yet another financial scandal being hushed up but come to think of it (and it usually is men) ‘Flash Boys’ describes the rich and powerful aptly. For other reasons Flash Boys would also be a good name for ex-Bullingdon Boys Cameron, Osborne & Johnson. Flash Boys would also be a good name for ex-Bullingdon Boys Cameron, Osborne & Johnson. But not Blair Ball’s or Miliband then, interesting view. We all knew when this crises hit who would be the ones who would suffer, be it labour or the Tories it was always going to be the poorest who paid the most. A useful antidote to empty or misleading rhetoric, which few people manage to avoid altogether, is to speak with intelligent people with a different political position. Then the rhetoric tends to fall flat rather than producing nods of agreement. In this piece Michael M speaks of the billionaire controllers of the banks, media and corporations along with the police, lawyers and accountants and lawyers who act as their agents. He adds that this election should be about “reigning in” the powers of these “lords of the universe”. He concludes by saying that it is this “reordering of power” that “the British people are now crying out for”. Are they? I talk to quite a wide range of people and I know hardly anyone who could be even vaguely thought of a “crying out” for such a reordering of power. I think that many of them can be persuaded that this us needed. Of those many will draw back when the political and social changes required to achieve that goal are detailed. What this means is that there is the basis for a real debate on the issue with a lot if hard work of explaining and convincing yet to be done even to reach majority assent for the programme of power restructuring. It is surely absurd to describe to current situation as one of the British people crying out for society’s power structures to be recorded. Either that or the people I come into contact with are amazingly uncharacteristic of the country as a whole.